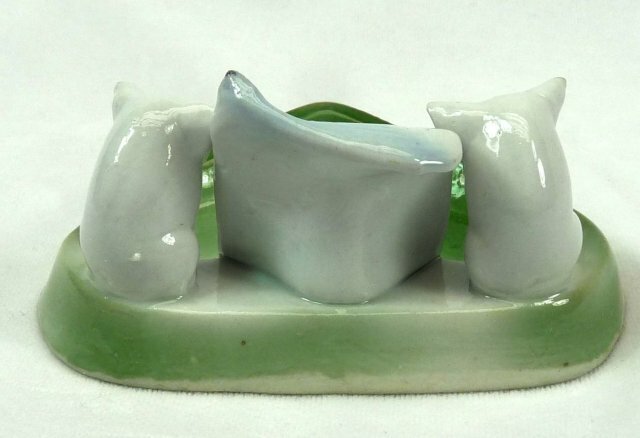 An antique turn-of-the-century German-made porcelain pig figurine / fairing, made as souvenir pieces for sale in the U.S. Dates from 1890's to 1920's. 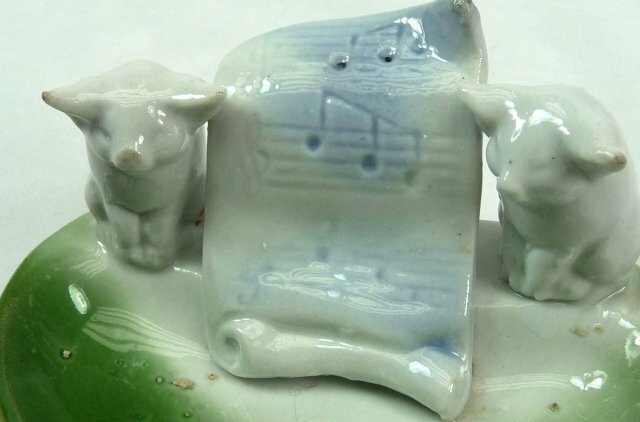 Usually these pig figurines are pink; this unique whimsical green dresser tray features 2 white pigs with sheet music. Measures approximately 2 1/8" at the tallest part. Tray measures 4 1/8" across and 3 1/4" from front to back. In nice condition with no damage found. 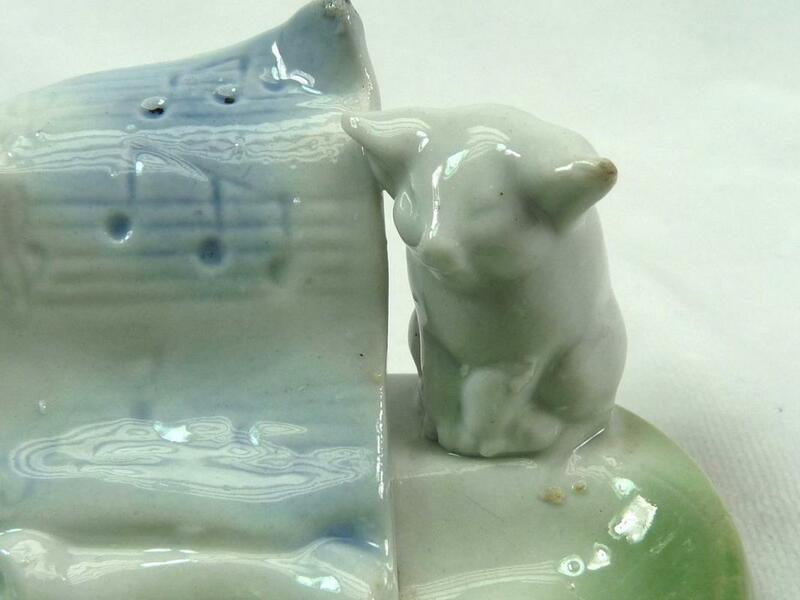 A nice collectible German pig figurine. 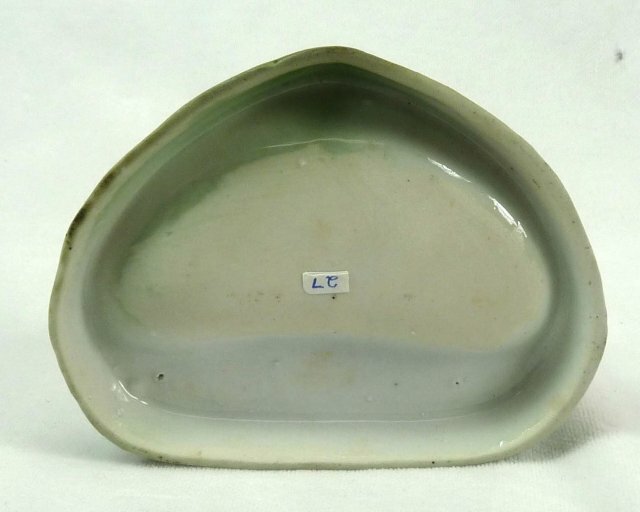 Items Similar To "Old German Porc. 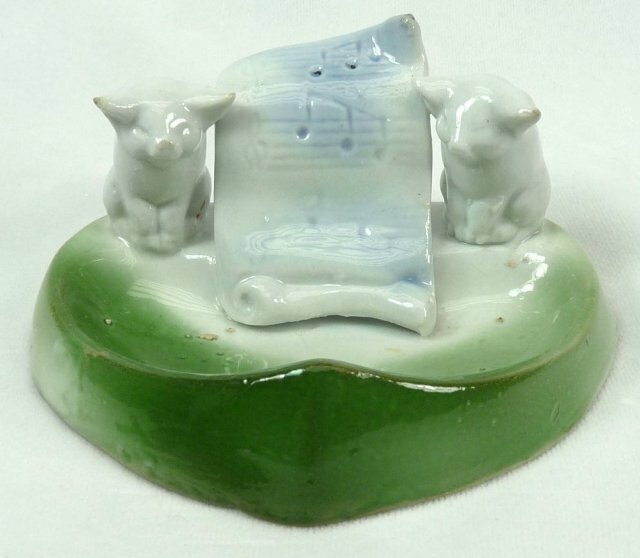 2 WHITE PIGS Sheet Music Dresser Tray"